BERLIN – A senior Russian lawmaker said Tuesday he can’t understand why President Donald Trump’s former national security adviser Michael Flynn failed to immediately reveal the whole truth about his contacts with the Russian ambassador. Flynn last week pleaded guilty to lying to the FBI about his December 2016 conversations with Russian Ambassador Sergei Kislyak. Prosecutors said he is now cooperating with special counsel Robert Mueller’s investigation into possible collusion between Russia and the Trump campaign in the 2016 presidential election. “I can’t understand why he did not tell the whole truth from the very beginning,” Kosachev said in English. Flynn was forced to resign in February following reports that Obama administration officials had told Trump’s team that Flynn had discussed sanctions with Kislyak, a fact at odds with the public assertions of Vice President Mike Pence. Prosecutors say Flynn asked Kislyak to “not escalate the situation” after the Obama administration imposed sanctions on Russia in retaliation for suspected election interference. Just days later, Russian President Vladimir Putin declared that Russia wouldn’t retaliate. The Kremlin insisted that Flynn’s conversations with Kislyak had not influenced Putin’s decision. Kosachev noted that he discussed the issue with Kislyak, who now serves as his deputy in the foreign affairs committee after returning from the U.S. and joining the upper house. Flynn is the first person who served in the Trump White House to be charged in Mueller’s probe into possible collusion between the Trump campaign and Russia, and investigators are looking to gather more facts from him. 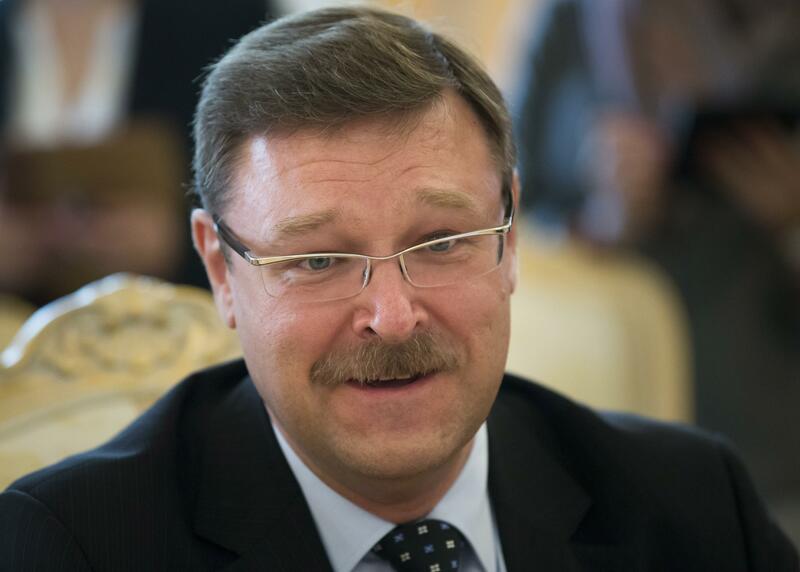 Kosachev reaffirmed Russia’s denial of meddling in the U.S. election, adding that Moscow has nothing to worry about regarding Flynn’s testimony. Kosachev argued that Russia and the U.S. are “natural partners” who must cooperate on issues such as the standoff over North Korea’s nuclear and missile tests, the crisis in the Middle East and other global challenges, adding that any such cooperation has been thwarted by political infighting in the U.S. Published: Dec. 5, 2017, 9:30 a.m.